Pairing the right pasta with the right sauce creates the ultimate balance of flavor and texture. 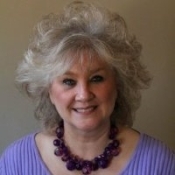 Sturdy pastas with tubes, ridges, or folds trap chunky sauces; delicate strands are ideal with a light coating of sauce; and long noodles are fabulous with just about anything. This guide will help you make the best match. 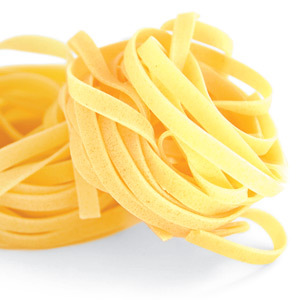 Nests of flat, wide egg-pasta ribbons are classically served with creamy butter or hearty meat sauces. Ideally, the wider the noodle, the thicker the sauce, which is why fettuccine and tagliatelle, for instance, are delicious with butter and Parmesan (alfredo sauce) and pappardelle, the widest ribbons, are often served with meat ragu. 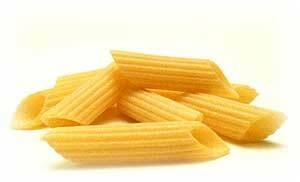 Penne, the most common type of flour-and-water pasta, are cut on an angle. Rigate ("ridged") penne hold a tomato or olive oil sauce well, while lisci ("smooth") penne are nice with creamy sauces. Ziti, which are cut straight on the ends, are a popular choice in baked pastas. Match chunks of meat or vegetables in a sauce to the diameter of the holes in the pasta: Tubes with larger openings, such as rigatoni, are tailor-made for hearty sauces. Olive oil and tomato sauces smoothly coat long round noodles. Save ethereal angel hair or capellini for the lightest sauces, and use linguine for seafood dishes. Spaghetti, spaghettini, and bucatini (buca means "hole," and this noodle has a tiny one running through it) pair well with toothsome meat or vegetable sauces. 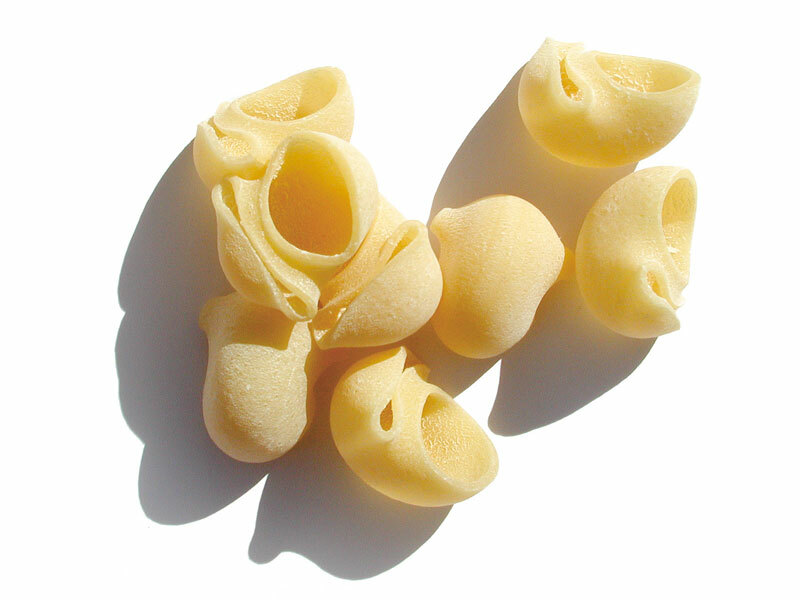 Dimpled, twisted, pinched, and folded shapes like shells, lumache ("snails"), and orecchiette ("little ears") capture thick, textured sauces. Easy to toss and serve, they work well in pasta salads or in family-style dishes. Use plenty of water (about 4 or 5 quarts for a pound of pasta) to ensure pasta cooks evenly and has room to move and swell as it cooks. When the water is boiling, add plenty of coarse salt (2 tablespoons per 4 to 5 quarts of water) and bring the water back to a boil. Don't skip the salt: It's the only opportunity to season the pasta itself. Add the pasta all at once and stir it immediately. This prevents it from sticking and helps submerge long shapes; continue to stir occasionally as it cooks. Don't add oil to the water -- it will coat pasta and prevent sauce from clinging. Drain pasta when it is al dente, meaning still firm to the bite (check package instructions for cooking times). It will keep cooking after it's mixed with sauce. Ladle out some pasta cooking water before draining; you can use it to bring the dressed pasta to the right saucy consistency. Shake the colander to remove excess cooking water. 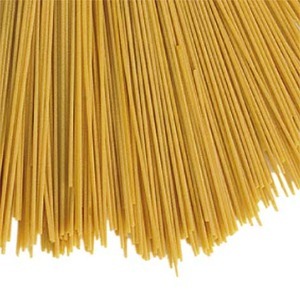 Avoid rinsing pasta, which removes the starchy coating that helps the sauce adhere.